The new 1.14 update is coming soon and with it are some more useless features! There are two main criteria I use to determine whether a block, item, etc is useful or not. It must be worth the cost and be a distinct addition to the game. Although aesthetics are generally good, a block that has a function or seems like it should have a function must be useful. This thread will go over items from the snapshots in addition to items already in the game. The bell may be given more use in the later snapshots, but as of now, all it does is make a sound. Placing a gold block under a noteblock already makes a bell sound making this a redundant feature. To make more sound blocks, the noteblock would have to be seperated into many blocks such as it seems the crafting table is to avoid redundancy. Even so, that seems useless as well. Yes, the cauldron is uesful in redstone builds, and has a few other trivial uses, but so much more could've been done with the block. Hopefully, the cauldron can one day replace the brewing stand as it has in console edition. They don't effect the player who is hit anymore. Snowballs should not damage the player but still do some knockback. As of now, different light sources are used purely for aesthetic reasons, but what if they had varying abilities. For example, a sea lantern could be brighter than any other source of light underwater. Jack O' Lanterns could be slightly less bright than glowstone to make access to the nether more vital. There is little to no difference from the crossbow and the bow. The crossbow would be more useful if it could instantly fire arrows. Although less realistic, it at least provides a useful alternative to the bow. It already does less damage than the bow making it balanced. The golden tools are for the most part useless- the sword and hoe especially. Dolphins should be more effective in helping the player find treasure. Barrels are cheaper and can be opened even if a block is on top of it. The double chest is the only advantage it has over the barrel. There's a reason everyone forgets about them. The only reason this is so low on the list is because rotten flesh can heal wolves and be used for trading with villagers. Although they might be useful for chicken farms, they're useless as throwable items. Perhaps since eggs are slightly more difficult to get (without a chicken farm) they could knock the player back further. The wooden pickaxe is the only wooden tool that anyone creates. Players should be able to craft cobblestone with rocks/pebbles so that these five items can be removed from the game. Ocelots should just be a reskin of the cat mob specific to the jungle biome. They are currently harder to tame than a cat and less useful than cats too. This would have been lower on the list, but dead bushes fit well in the desert. Ewww... Perhaps dolomite could replace diorite. It's less messy, but not to the point that it looks polished. Clocks can tell the time, but so can the sun. If you're mining, why would you need to know the time anyways. Beetroot itself only heals 1 hunger bar. Beetroot stew heals 6, but bowls don't stack! Additionally, beetroots can't be used to breed any animals. Hoes only vary in durability. A stone or iron hoe is all you need. At least make it a little less obvious that it's poisinous. I understand the reference to the potato blight, but it seems pretty useless overall. Do you know any other useless features? Feel free to share. 2: I would think that the poisonous potatoes are just potatoes that have grown above ground, they turn green and are poisonous. 5: It's useful to know what time it is when underground if you're mining away the night and want to go back up when it gets light. 19: The cauldron can be useful for storing water for brewing in the Nether, allowing you to conserve inventory space by transporting the water in buckets rather than bottles. And it apparently can be used to remove the dye from shulker boxes, leather armor and, one layer at a time, from banners which could be nice if you made a mistake. 9: Taming ocelots is, for now, the only way to get cats. 17:, 14: and 20: Bells, crossbows and barrels aren't actually in the game yet, meaning that chests are, for the time being, vital. And I hardly think that a saving of 1 block of planks per barrel will be game changing, particularly since it adds an extra step to the crafting. And chests can be opened with blocks on top, just not full blocks, upside down stairs for instance can be used to give the impression of a full block if turned the right way around. Also, while they have their uses, I find usually find single chests too limited. So I think it could be argued that barrels will be a useless addition. 7: Yeah, I've never liked diorite (or andesite). he new 1.14 update is coming soon and with it are some more useless features! There are two main criteria I use to determine whether a block, item, etc is useful or not. It must be worth the cost and be a distinct addition to the game. Although aesthetics are generally good, a block that has a function or seems like it should have a function must be useful. This thread will go over items from the snapshots in addition to items already in the game. The bell may be given more use in the later snapshots, but as of now, all it does is make a sound. Placing a gold block under a noteblock already makes a bell sound making this a redundant feature. To make more sound blocks, the noteblock would have to be seperated into many blocks such as it seems the crafting table is to avoid redundancy. Even so, that seems useless as well. It is not finished yet. Give them some time. Yes, the cauldron is uesful in redstone builds, and has a few other trivial uses, but so much more could've been done with the block. Hopefully, the cauldron can one day replace the brewing stand as it has in console edition. It holds water. That's the entire point of the block. Couldrons don't make potions. As of now, different light sources are used purely for aesthetic reasons, but what if they had varying abilities. For example, a sea lantern could be brighter than any other source of light underwater. Jack O' Lanterns could be slightly less bright than glowstone to make access to the nether more vital. Light sources DO have different light sources. It's just a little hard to see. And see lanterns do much better underwater. There is little to no difference from the crossbow and the bow. The crossbow would be more useful if it could instantly fire arrows. Although less realistic, it at least provides a useful alternative to the bow. It already does less damage than the bow making it balanced. Instant damage is the entire reason 1.9 PvP was implemented. Although I do think this should happen, you would have to change the entire PvP system to avoid inconsistency. And it fires fireworks. 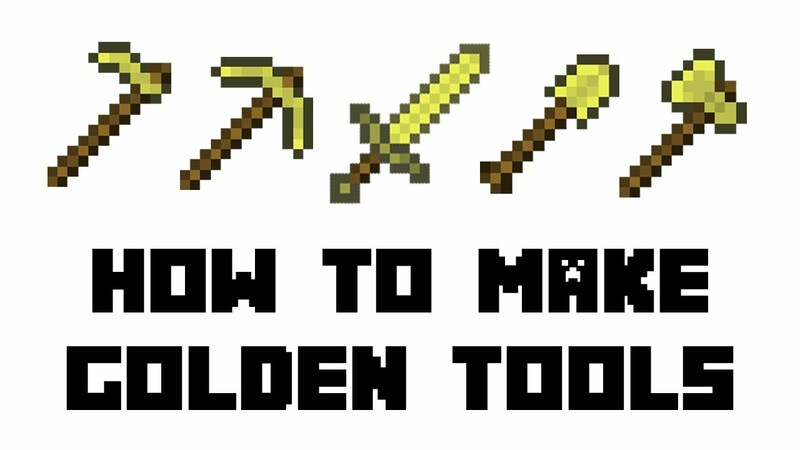 The golden tools are for the most part useless- the sword and hoe especially. Yeah. Completely agree. I even made a thread about this. Dolphins should be more effective in helping the player find treasure. This would require some other balance changes. Barrels are cheaper and can be opened even if a block is on top of it. The double chest is the only advantage it has over the barrel. Yeah, I'm not exactly sure why this is. I feel that balance changes will probably come to the barrel later on. There's a reason everyone forgets about them. I don't actually no what they do. The only reason this is so low on the list is because rotten flesh can heal wolves and be used for trading with villagers. It's also an emergency food source, and can be made into leather. Although they might be useful for chicken farms, they're useless as throwable items. Perhaps since eggs are slightly more difficult to get (without a chicken farm) they could knock the player back further. It does a little damage, and can craft cakes. The wooden pickaxe is the only wooden tool that anyone creates. Players should be able to craft cobblestone with rocks/pebbles so that these five items can be removed from the game. It's an easy way to start the game, as trees are around you 90% of the time. Using rocks and pebbles would make it a lot harder to start the game. And if wood stuff was removed, new players would notice and ask "Why isn't there wooden stuff?" Ocelots should just be a reskin of the cat mob specific to the jungle biome. They are currently harder to tame than a cat and less useful than cats too. Creating a new mob adds diversity to the game. Reskinning a mob doesn't do that nearly as well. This would have been lower on the list, but dead bushes fit well in the desert. This I agree with. Ewww... Perhaps dolomite could replace diorite. It's less messy, but not to the point that it looks polished. It was added to increase undergound diversity. Retexturing them WOULD be useless because you aren't obtaining any actual benefit other than a small satisfaction increase. The pig is one of the most iconic mobs in Minecraft. More useful features needed to be added to them. Perhaps pork could be the best food in the game- even better than steak. This would incentivize pig farms in addition to other farms. Riding pigs, although silly, is rather pointless. It's almost as good as riding horses. With a carrot on a stick, pigs are an amazing transportation system. The only disadvantages are that you can't jump or store anything. Making steak worse than pork would be unrealistic. Clocks can tell the time, but so can the sun. If you're mining, why would you need to know the time anyways. Because more mobs spawn at night, whether you're in the sun or not. And it's much harder to tell time by the sun. Beetroot itself only heals 1 hunger bar. Beetroot stew heals 6, but bowls don't stack! Additionally, beetroots can't be used to breed any animals. Stacking is not required to make something useful. And you can say the same things about potatoes, but you don't mention them here. Hoes only vary in durability. A stone or iron hoe is all you need. If you do a lot of farming, this is not true. And why would they leave out the hoe from the other sets of tools? That would result in a lot of questions like "Why is there no diamond hoe?" At least make it a little less obvious that it's poisinous. I understand the reference to the potato blight, but it seems pretty useless overall. I agree with this. They don't effect the player who is hit anymore. Snowballs should not damage the player but still do some knockback. They strongly damage fire based mobs, like the blaze. And they're used to craft snow blocks, which is useful in building. so first of all snowballs NEVER did damage or knock back the player since around 1.3. Spigot is why it happened on servers. But yea i agree almost all these things are useless exept the crossbow cuz it shoots fireworks. The crossbow is debatable, considering enchantments, which generally make it better at handling groups, on top of making them fire slightly faster than bows. As for firing arrows instantly, crossbows can be kept charged, unlike bows. Finally, firing fireworks an be useful. Very true. I really dislike the fact the crossbow is made more useful with enchantements. Those enchantments could've just as easily been added to the bow. Nonetheless, your point remains true- the crossbo is quite useful. 5: But is it useful for the cost when you could simply mine a block and take a peak. 19: This is true but makes no logical sense. Cauldrons: Yes, I know they hold water. How does that make it useful. Sure, it can fill 3 bottles, but water is infinite. Obviously, cauldrons don't make potions- the exact reason why I'm suggesting they do so. Light Sources: The majority of blocks emit the max light source which is the SAME. And Sea Lanterns DON'T "do much better underwater"
Wooden Tools: Rocks and pebbles would be pretty common too. Why would new players be asking about wooden tools if they had no idea they ever existed in the first place. Ocelot: How exactly does changing the ocelot to an entirely different mob instead of just a reskin add diversity to the game. The ocelot itself has no ability that the cat doesn't. An ocelot is also more likely to fight than a cat. And finally, ocelots are harder to tame so my point remains- they're useless. All it does is waste space. Diorite: "Small satisfiation increase" LOL. Biggest understatement of the year. Diorite is used very rarely in builds due to its ugliness. I'm pretty sure the majority of the Minecraft community (which has been pretty open about their hate for the block) would be fine with a new block if it replaced diorite. Pigs: Keyword- almost. Horses aren't able to store items either (mules and donkey's however can). The ability to jump is crucial. Why would anyone choose riding a pig over a horse if it serves no benefit. Clock: "it's much harder to tell the time by the sun" hmm.... I strongly disagree with that. It took me a while to understand how the clock worked. Gold is a resource that would never be wasted on such a useless item. Beetroot: Actually, not having the ability to stack is a major downgrade. Inventory space is vital and no one prefers 6 points over 512. Yes potatoes are useless, but they can be smelted to make a reasonable food source. I never suggested the removal of any hoe. I'm sure the majority of the Minecraft community would be open to a hoe varying more in just durability. Snowball: true, I'll move it down on the list. These values are straight from the Minecraft code. As you can see, there is plenty of diversity in how much light each block has. And the entire reason sea lanterns were added was for underwater light. I was saying that cauldrons do not make potions IRL, so they shouldn't in minecraft. 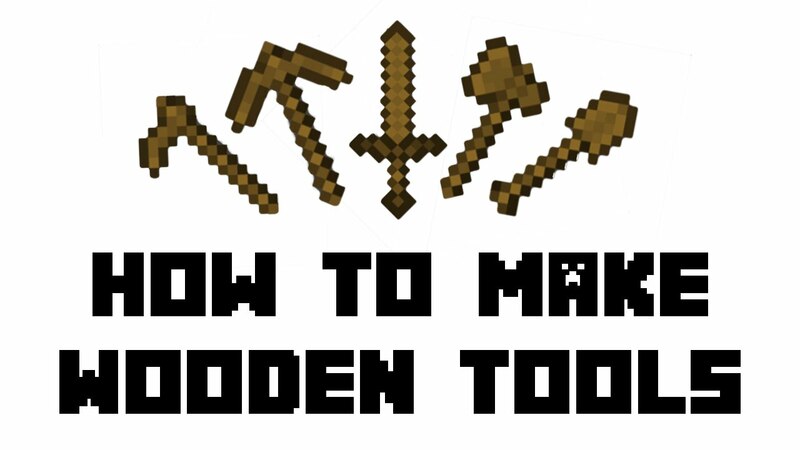 Players would ask about wood tools because they would see that there's diamond tools, stone tools, iron tools, etc. And they would think "You can make tools out of wood. Why aren't they there? Every other material is there." Eggs definitely do damage, as there is a specific line of code in Minecraft that calls the method to do damage. Changing the ocelot adds diversity in mob behavior. Having just one type of cat that does the same thing every time is less diverse. A texture change is less valuable than a behavior change. Changing Diorite may please a lot of people, but not very much. It is a largely insignificant part of the game. People would choose pigs over horses because horses are rarer and require saddles and food to maintain. The ability to jump is an acceptable loss. Clocks allow you to view the progress of the sun in one window instead of having to go outside and view it in terms of the entire world. Gold can't really be used on much else useful (except golden apples). Inability to stack was added for balance and realisticness. What happens when you try to stack 2 soups on top of each other? Also, the soup is a good food source, and the bowl is reusable. I think that's enough to justify no stacking. Where are you mining? Are you mining like 5 blocks below the surface? Once you are able to craft the clock you will most likely be only be mining diamonds. If you are that deep you can't just mine a block. Now you could just look up the hole you made to see the sun, but that would only work if you made a ladder or water elevator. Ladders are slow and water is hard to see through. Also, it still takes a little time to get to it. Especially if you are caving or have been strip mining for a while. Sorry if I was a little aggressive at the start. Also cauldrons making potions would make sense, but I don't support the idea because it seems too early game. The most used sources of light- torches, glowstone, and sea lanterns emit nearly the exact same amount of light. You can call it 'diversity' but that's just code and you won't see a significant increase in lighting between these three blocks in game. As Master_Bw3 mentioned, potions don't even EXIST in real life. I'm sure you've heard about witches using cauldrons to brew stuff in classic stories. "Ooh look, some flint- let me make a flint sword!" Wooden tools were rarely even made in real life. "Eggs can be thrown, although they do NO damage"
B. Once they're tamed, they do nothing. Just like all aesthetic blocks are 'insignificant'. Minecraft was made for builders and if you don't like building- you don't have to play. clocks aren't worth the cost. I had a good laugh at that one. I literaly explained how useless the soup was. Who would choose beetroot soup over potatoes, carrots, etc. I had a good laugh at this one too. Do you really think you can hold 503936 kilograms worth of iron in your hand. As said multiple times- the soup is a useless food source. The part about diorite that is insignificant isn't that it would be only an aesthetic block, but the fact that diorite itself is a insignificant block. If it doen't please you aesthetically, then don't use it. Making diorite aesthetically useful would be too much work for one block that can be completely avoided. With no advantage over and a durability lower than wood, the golden hoe beats out the diamond hoe which does have high durability… not to mention the "benefits" of (witlessly) conspicuous consumption. Hardly fair to comment on an item not yet finished. Disqualified from the <1.14 Golden Hoes on that basis. While it may be rare, there are times when cauldrons in redstone are exceddingly useful or actually required. 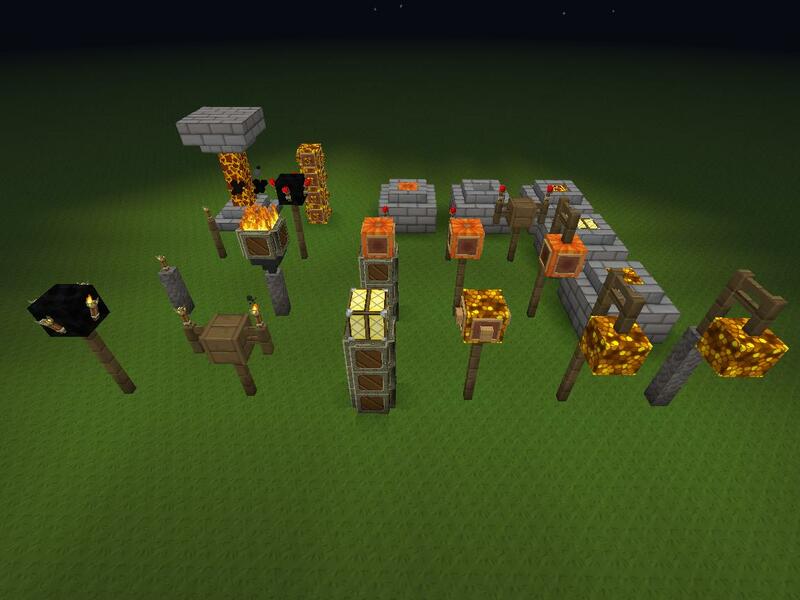 For expansion & further arguments, Why Cauldrons are the Best Blocks in Minecraft! Thes DO have functionally different behaviors. Torches (and possibly sea pickles[?]) have no collision mask so they inhibit neither movement nor spawning. The former cannot be used underwater, the later are only usable underwater. Sea Pickles are also the only currently avalable adjustable light source. Jack o' Lanterns [JoL] are these easiest to obtain top level (Block Light 15) source and can be used underwater, but (until 1.13) had more restrictions on block placement. JoLs are also the only Lvl15 light source that is a spawnable block (being transparent only in rendering) which is useful in slime farms. Sea Lanterns and Glowstone are the most functionally similar of the light sources. Both are more readily placable than JoLs (pre-1.13), but are non-spawnable being transparent. End Rods have unique collision masks and placement rules. The only point to them otherwise seems to be providing a source for gold in increments of less than one ingot. I've not tried this (yet), but Minecraft Dolphin Super Highways from docm77. I'd be inclined to claim the barrel (as currently implemented simply a halfchest that ignores a solid block above) as a better claimant for a 'Golden Hoe' runner-up. Responding, nevertheless, to the OP list: the ability of a single full chest to feed two hopper lines has some utility on building storage silos. These are more common as of the 1.13 change that made normal ice a spawnable block, but otherwise seem no more than an overworld equivalant to the nether's pigmen that was made too rare to actually be cause for caution. As a cheap means of resetting cleric villager trades (notably redstone, lapis, glowstone, ender pearls) that also provides emeralds, hardly useless. Loses out on a Golden Hoe due to the first day necessity. [Crafting a wooden axe (using 7/8ths log worth of wood) can provide a (minor) advantage in the first day as the increased speed of logging can more than compensate for the time/materials to craft if the immediate vicinity of the site for one's starter house has many trees. The wooden sword would seem a better candidate as a stone sword is so frequently available at or about the same time. Until that unfortunate walkback, ocelots are the source of cats [roughly recapitulating the favored theories of cat domestication] and one of MJ's better efforts – nicely hitting the sweetspot on the difficult to obtain/utility graph. A source of sticks (vital for torches) if starnded in a desert (or playting a challenge spawn), otherwise a good candidate. Surprised carrot-on-a-stick was not nominated instead. Pigs produce pork, which is still tradable rather than the (mainly) storage system clogging beef which is no longer tradable. Assuming one was willing to farm one's leather from rabbits, cows might be a more competitive nominee as the steak byproduct is not superior to cooked pork and pig farming does not generate wheat seeds as a byproduct. Beets can be used to breed pigs. I see no reason for these as a group to make even the list of nominees being required for any crop farming. Of the hoes, Iron would be my choice as least useful: wood may allow an earlier start to famring, stone is my usual 'utility' model, and diamond at least offers the chance to vulgarly flaunt … … advertise one's wealth. This particular invetory clogger would be my choice for first runner up. Other than as a legacy from a time when using web resources (rather than frustrating and expensive trial and error) to suss out brewing stand recipes or the like, it does seem to be little more than a rebuttal to Chekov's gun. Snowballs are also the preferred method of initiating the aggro chain in many gold farms. 20. The bellHardly fair to comment on an item not yet finished. Disqualified from the <1.14 Golden Hoes on that basis. I've heard plenty of arguments on the matter but cauldrons in terms of their intuitive uses are not very useful. However, it is useful nonetheless. I guess I was referring to specifically- glowstone, sea lanterns, and lanterns. Hmm... I don't really like the idea of bane weapons. I'd prefer that sticks to enchantments and the varying functions are for the item. Having both seems rather useless as one is just slightly different than the other. Stone is so readily available that it could be used instead of wood. Hmmm... I guess it's not fair because the behaviors haven't been clarified. I was unaware of its breeding functionality. That's what those ugly diamond houses are for. The most used sources of light- torches, glowstone, and sea lanterns emit nearly the exact same amount of light. You can call it 'diversity' but that's just code and you won't see a significant increase in lighting between these three blocks in game. Code is THE ENTIRE GAME!!! Anything that is proven to be in the code, you can GUARANTEE is in the game. As Master_Bw3 mentioned, potions don't even EXIST in real life. I'm sure you've heard about witches using cauldrons to brew stuff in classic stories. Brewing stands make much more sense. Wooden tools were rarely even made in real life. Many people know you can make a wooden tool, though. But not many people know you can make any tool out of flint. It also fits the theme of Minecraft. At the beginning, you're in the wood age, so you make stuff out of wood. Then the stone age, etc. "Eggs can be thrown, although they do NO damage" Where is this from? They're still in development. Probably more distinguishing will be added. Just like all aesthetic blocks are 'insignificant'. Minecraft was made for builders and if you don't like building- you don't have to play. The changing of one basic underground aesthetic block will have a VERY insignificant effect on the game even for builders, who hardly ever use underground blocks anyway. LOL, you're the only person I met who would choose a pig over a horse (besides the memers). Why would you choose stone over Iron? YOU DON'T! The only reason you choose stone is because it is easier to get and is sufficient. Same with horses and pigs. *cough* powered rails *cough* Only useful if you have a minecart, which is very limited transporation because you need to build a rail to wherever you go. Not useless, though. I had a good laugh at that one. I literaly explained how useless the soup was. Who would choose beetroot soup over potatoes, carrots, etc. Because it gives more hunger and you may have more of beetroots than anything else. I had a good laugh at this one too. Do you really think you can hold 503936 kilograms worth of iron in your hand. There is really no additional reason to limit stacking of iron, so the developers allowed it. Light: I was referring to the fact that although the torch varies in the code, there is virtually no visual difference in the game. Cauldron: Neither makes more sense than the other. I personally would prefer brewing my potions in a cauldron without a GUI as it fits with the fantasy theme of Minecraft. Wooden Tools: What do you mean. I never knew people made tools out of wood until playing Minecraft. Flint is much more common actually. Diorite: Low priority doesn't mean low quality. Pig: I'd rather go by foot as it is more convenient than a pig. Beetroot: What about mutton and chicken? They give more food points and can be stacked making them much more useful. You can't have a double standard for realisticness. There for I deem your realisticness argument invalid. You've certainly not done all your research, but good job nonetheless. Still, having some useless features makes you appreciate the useful ones more, so it adds balance in that sense. Beetroots are indeed useful, but not in a direct way. They CAN be used to breed pigs. The reason this is important? Because if you're in a village, you want to sell the other root vegetables to farmers to get money in the early days there. At the same time, food is still important. ON the other hand, beetroot stew is nearly useless. Its sum hunger and saturation is exactly equal to its parts (exactly 6 beetroots = 6 hunger and 3 saturation), so its only uses are to save a bit of space when you have exactly 6 beetroots and 1 bowl, or to save time when you need to eat fast (e.g. in a cave system). Dead bushes are the only source of sticks in a desert, which combined with a desert village's new equipment is all you need to survive in a desert world for quite a while. They are also good kindling to start fires, especially from lava pools, so you can open nether portals with their help early on in gameplay. Bells will obviously have more function, we'll have to wait on them. Clocks are necessary if you are defending villages or raising turtles because undead will attack at night and you will be caught unaware. Of course, you can just bring a bed and check it every five seconds - not that that's weird or anything. Snowballs and eggs are mostly useless, but I find them helpful sometimes to get mobs' attentions when I want them to charge me. Gets their aggro up. Cauldrons plus water buckets and trapdoors can be a lifesaver in the Nether. Quickly build a cauldron, fill it, and place a trapdoor on top and open it, all of which takes about three seconds. Jump on top and walk backwards to the trapdoor so you hit the open trapdoor and fall in the small water space. For carrying three extra items, you can put yourself out of a ten-second fire and possibly save your life. Light sources definitely need work. With the introduction of lanterns, I almost want them to make torches non-infinite again. I bet lanterns will be cheap enough to craft en masse anyway. For the rest of the examples, I agree. I could also add a slew of blocks which are only good for decorational purposes, but I don't want to anger the Creative players. Beetroots are indeed useful, but not in a direct way. They CAN be used to breed pigs. The reason this is important? Because if you're in a village, you want to sell the other root vegetables to farmers to get money in the early days there. At the same time, food is still important. ON the other hand, beetroot stew is nearly useless. Its sum hunger and saturation is exactly equal to its parts (exactly 6 beetroots = 6 hunger and 3 saturation), so its only uses are to save a bit of space when you have exactly 6 beetroots and 1 bowl, or to save time when you need to eat fast (e.g. in a cave system). Perhaps they could be used to breed goats if they're added. Dead bushes are the only source of sticks in a desert, which combined with a desert village's new equipment is all you need to survive in a desert world for quite a while. They are also good kindling to start fires, especially from lava pools, so you can open nether portals with their help early on in gameplay. Kindling? Cauldrons plus water buckets and trapdoors can be a lifesaver in the Nether. Quickly build a cauldron, fill it, and place a trapdoor on top and open it, all of which takes about three seconds. Jump on top and walk backwards to the trapdoor so you hit the open trapdoor and fall in the small water space. For carrying three extra items, you can put yourself out of a ten-second fire and possibly save your life. This is indeed useful, but the feature lacks continuity (which I'm aware is not the topic of the thread). Light sources definitely need work. With the introduction of lanterns, I almost want them to make torches non-infinite again. I bet lanterns will be cheap enough to craft en masse anyway. Agreed. I make big enough farms that I frequently wear out iron hoes, I'd use diamond hoes if it weren't for always running off to mine or explore, forgetting to store my hoe at the farm and end up leaving them in chests all over the place. I kinda like the progression at the start of the game, punch a tree - make wooden pick - mine cobble - make stone pick. If there's no exposed stone I might even make a wooden shovel as well. Sure, I'll never use them again, and it isn't really realistic to be able to mine stone with wooden tools but Minecraft isn't really a realistic game anyways. Honestly, the bells could be cool, but the granite blocks and what not, there's just too much to the point I end up not playing the game, this is what made older Minecraft supreme, there wasn't too much to do. Light: I was referring to the fact that although the torch varies in the code, there is virtually no visual difference in the game. Ther is, it's just hard to notice. Cauldron: Neither makes more sense than the other. I personally would prefer brewing my potions in a cauldron without a GUI as it fits with the fantasy theme of Minecraft. And brewing stands don't? Wooden Tools: What do you mean. I never knew people made tools out of wood until playing Minecraft. Flint is much more common actually. That's funny, because before you mentioned it in your post, I never knew people made tools out of flint. I thought wooden tools were common knowledge. Diorite: Low priority doesn't mean low quality. If minecraft was to change ONE texture in order to please people a SMALL amount, that would be really petty. However, in 1.14 they are redesigning THE ENTIRE GAME'S TEXTURES, which is more acceptable. Pig: I'd rather go by foot as it is more convenient than a pig. It may be more conveinent, but is it sufficient? Depending on how fast you need to go or what you need to do, possibly not. Beetroot: What about mutton and chicken? They give more food points and can be stacked making them much more useful. Whixh is better? 64 mutton + 1 beetroot stew, or just 64 mutton? Obviously the first one. More food is never bad, and you might need it later on. Light: If it's so hard to notice they should make the change in lighting greater. Do you agree with that? Caudlron: Brewing Stands aren't real things. I imagine them as modern rather than midieval, but then again, that's subjective. Wooden Tools: Wow, so now you resort to lying- that's low. Diorite: Actually, a new good looking or useful block is never bad. The bone block and stripped logs for example were game changing for builders. It isn't very hard to retexture 1 block. Pig: Yes, I've never met a person that preferred riding a pig than going on foot. Beetroot: Well obviously more food is never bad, but once you create an auto (or manual) food farm you'll have no use for them. Sure- if beetroot if is the only food you have it will temporarily be useful like rotten flesh. If you're mining and you don't have any shulker boxes, beetroots are just a waste of space. Using that logic Minecraft could useless ores and say- "oh well, would you rather have 1 ruby and 64 diamons or just 64 diamonds." I'm sure no one would mind giving beetroot another use.